If you really care about your vehicle, there's no better way to keep the cargo area looking good than custom-fit WeatherTech DigitalFit CargoLiners. These custom-fit liners will protect the carpeting from dirt, moisture, and spills. These contoured cargo liners are custom-designed to fit your specific vehicle perfectly. WeatherTech's extensive research, digital laser measuring, and advanced manufacturing techniques combine to create superior floor coverings that stand up to hard use. DigitalFit CargoLiners are made from WeatherTech's propietary High-Density Tri-Extruded (HDTE) material, so they'll stay in place, stand up to everyday abuse, and remain flexible in even the coldest temperatures. The grooved surface channels moisture away from your gear and cleans up easily. These custom liners are available in black, gray, or tan to match virtually any interior. The more you know about floor mats, the easier it is to decide what's right for your vehicle. 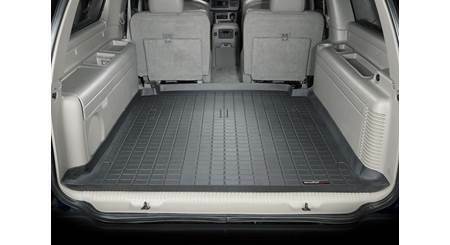 Our WeatherTech floor mat buying guide has all the information you need to find your perfect mats. 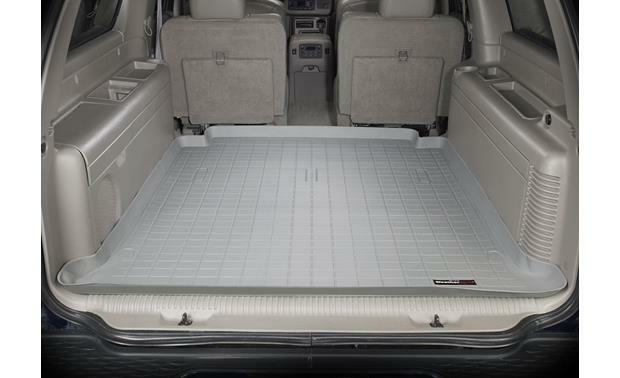 Note: You must identify your vehicle to order a WeatherTech cargo liner online. Or, if you prefer, call an Advisor at 1-888-955-6000 to make sure you get the cargo liner that fits your vehicle exactly. Our price includes shipping. This item ships directly from the manufacturer and can only be delivered to a street address within the contiguous 48 United States. 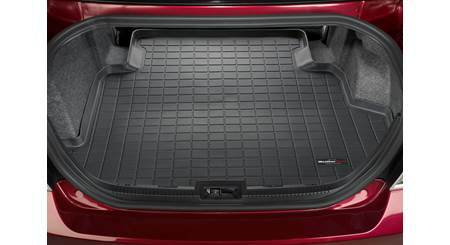 Overview: WeatherTech Cargo Liners provide complete trunk/cargo area protection. WeatherTech cargo liners are computer designed to fit your vehicle and have a raised lip to keep spills, dirt and grease off your vehicle's interior, protecting your carpeting from normal wear and tear. Made from a proprietary custom blended TPO (thermopolyolefin) that is not only wear resistant, but also remains flexible under temperature extremes. The WeatherTech Cargo Liner features a textured finish which helps to keep cargo from shifting, and is perfect for hauling just about anything from gardening supplies to construction materials to the family pet. High Quality Standards: Quality built in America, WeatherTech Cargo Liners meet FMVSS302 and are TUV approved. Protective Finish: The WeatherTech Cargo Liners have a protective non-stick finish that lets them shed water and dirt easily. To clean, just rinse off with a hose and shake out vigorously. Fit: The WeatherTech Cargo Liner is custom molded specifically to fit your vehicle (car's trunk, SUV cargo area, or minivan cargo area) and offers easy installation. 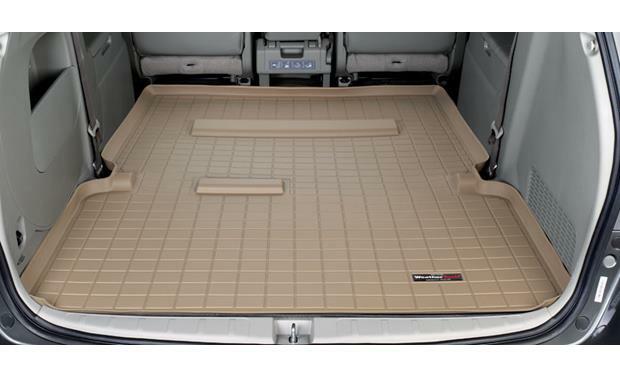 Note: Please visit Crutchfield's "Car Selector" to find the WeatherTech Cargo Liner that fits your vehicle. Colors: You can choose from Black, Tan or Grey to complement your vehicle's interior color. Does this liner fold for installation of the third row seat? I forwarded your question to an Advisor and they responded with the following: The WeatherTech liner isn't designed to fold necessarily, they are custom molded to fit specific vehicles. To better determine the answer we would need vehicle information. If you would like to discuss further you can contact an Advisor directly by phone (1-800-324-9695) or online chat. 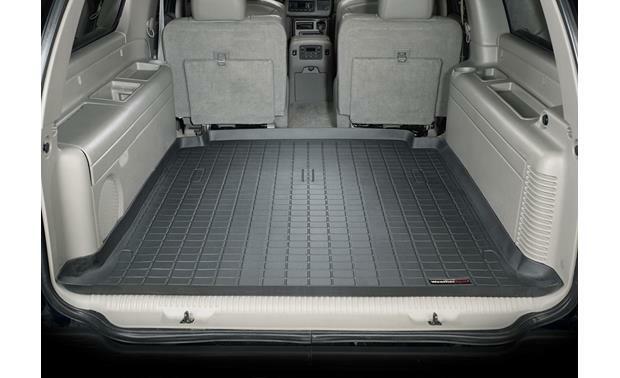 Searches related to the WeatherTech Cargo Liner Custom-fit liner protects your vehicle's interior.